For clients who need to change their backrest angle frequently. 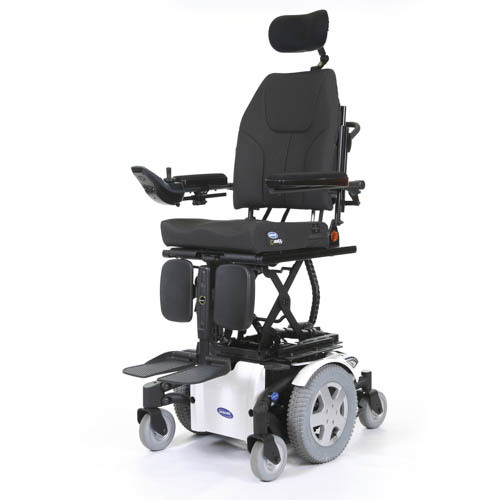 Can be used in conjunction with other powered options to create a more comfortable position. 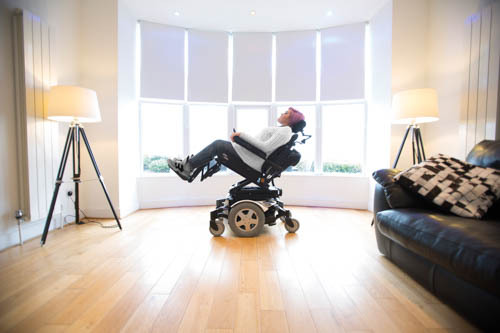 The number one option of choice as when you tilt the whole seating system it induces pressure relief on the thighs and coccyx area, a small amount of tilt improves posture and spine support for many, in turn can improving breathing and digestion. This can be very useful when going down an incline, ramp or hill putting the client in a more secure seating position. When used in conjunction with elevating leg rests one can often find a secure resting/snoozing position. For long term seated clients, finding different seating positions for comfort becomes more difficult, adjustment of leg rests can make all the difference and can improve circulation. This has many uses, often particular to the clients needs. It has the obvious use of the client now being able to reach items as if he/she was standing. Being able now to see if the pots on the stove are cooking well is a major advantage to the cooks out there. Some of our clients who can weight bare for transferring use the seat raiser as a standing aid. Helping to bring the seat to the bed height can be a major advantage at home as well as Hotels, but all would agree for social purposes it’s the equaliser, now being able to have eye contact in conversation, or even being able to go up to the bar and order a drink, giving the client that little bit more independence. All these options are available on the following popular recommended models.